New bill aims to cut back on e-waste reaching landfills. Building on a Texas e-waste recycling bill passed in 2007, the Texas House is currently considering a bill which would require large computer retailers to collect consumer e-waste. Along with another bill introduced this session that would ban computer equipment from being disposed of in landfills or incinerated, the proposals have both struggled to find support in previous legislative sessions where they never made it to the floor of the State’s House of Representatives. The bill requiring computer retailers to collect e-waste is called House Bill 87. It was introduced by Rep. Mary González, a democrat representing El Paso. González also introduced the bill in the last legislative session where it did not get out of committee. She was quoted in a Houston Chronicle article as saying “I want to make sure we have policies in place so that my children and the next generation of children have a state that is still healthy.” The bill would expand on the 2007 law that requires manufacturer’s to offer free recycling for their products, by requiring large retailers such as Target and Wal-Mart to accept old electronics at no charge to consumers. The other bill that would ban computer and television equipment from being dumped in municipal landfills or incinerated was introduced by Rep. Joe Farias, a democrat representing San Antonio. Farias’ bill, call House Bill 423, also got stuck in committee last session. The primary objective of the bill is to protect Texas’s water resources. Landfill runoff can leach hazardous substances found in computer and television equipment, such as mercury or lead, into ground water. Both bills are being met with some opposition as they will require increased regulation, resources, and costs. While challenging to implement, this type of legislation is important as the levels of electronic waste being generated continually increases. Electronic recycling companies such as R.A.K.I Computers Recycling play an important role in the existing infrastructure to deal with e-waste, but recognize the need for increased resources and regulation on a city, state, national, and global level. Regardless of whether or not House Bill 87 and 423 become law, R.A.K.I. 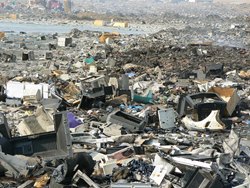 Computers will continue to do its part to ensure that computers and other forms of used electronics equipment do not end up in landfills or pollute the environment. Based in Houston, Texas, R.A.K.I. Computers is an R2:2013 Certified Electronics Recycler. R.A.K.I. has been helping properly dispose of and recycle electronic waste for clients locally and nationwide or over 24-years. Specializing in enterprise-level services, R.A.K.I. provides commercial pick-ups and gladly accepts e-waste drop-offs free of charge at their Southwest Houston location. R.A.K.I. also offers secure data destruction services. To learn more about the company, their services, and electronics recycling please visit their website.